RawrManifesto;: Bringing Military to Kensington. My friends and I explored Toronto's Kensington Market today, which I haven't been to in ages so it was pretty awesome. If you've ever been to Kensington you know its one of Downtown's most interesting, vibrant and festive and diverse district, and literally there is no end of sights to see (and in our case, food to eat). 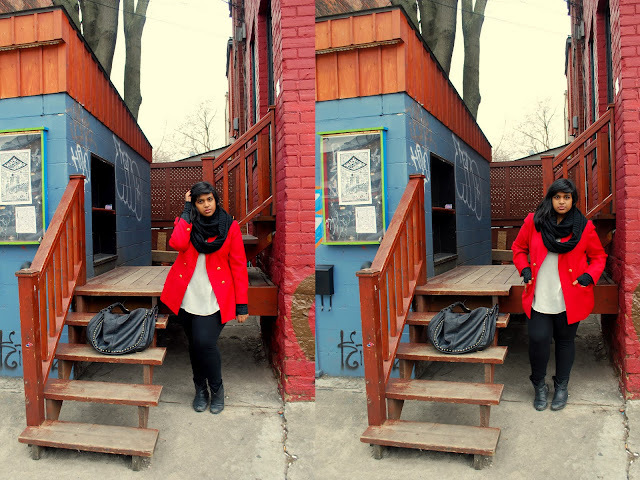 The location is just too pretty to not take advantage of, so I had to do an outfit post! omg i need u to know how much i love this outfit! LOVE IT!!!! Such a simple look but it is utterly fabulous!!! That blazer is sickening, I love it! !